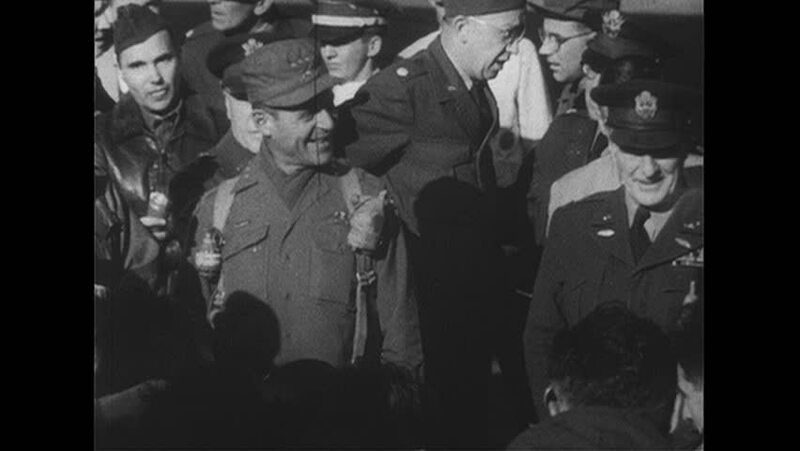 UNITED STATES 1950s: Plane lands, cameraman in foreground / Matthew Ridgway steps off plane / Ridgway with soldiers, officials / Plane on runway. hd00:58CIRCA 1918 - Soldiers in the Rainbow Division are shown in training firing a mortar and throwing grenades in France in World War 1.
hd01:58CIRCA 1940s - Undercover agent Al is questioned on the train by an enemy agent and finds the machinist where he can get work in the enemy town. 4k00:14UNITED STATES 1940s: Kids lift snowball to make snowman / Boy shapes snowman / Girl shapes snowman / Kids shape snowman. sd00:47CIRCA 1950s - Squadron members remove a sleeping soldier from a couch to make room for an injured sergeant in the 1950s. hd00:12HAWAII 1952 : Men and women partake in a hukilau where fish are caught for a feast. hd00:47CIRCA 1910s - A visit on H.M.S. Barham in 1918.